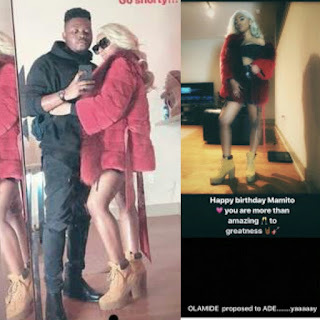 Nigerian indigenous rapper Olamide has finally proposed to his long time girlfriend and babymama Bunkunmi on her birthday. 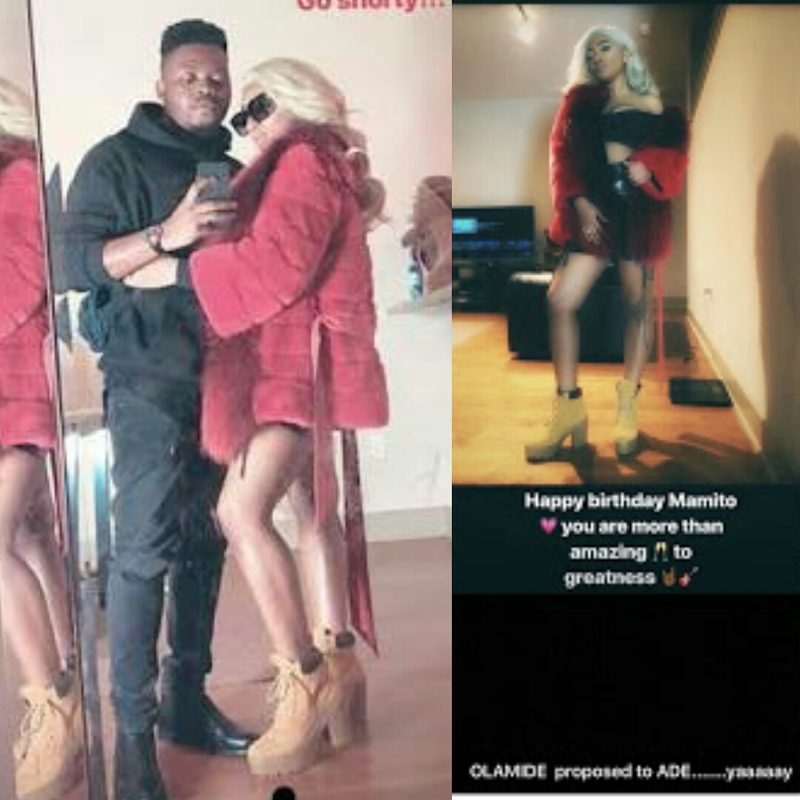 In a photo posted by the singer on his Snapchat yesterday, he wished his long time girlfriend and baby mama Adebukumi Aisha Suleiman, a happy birthday. ''Happy birthday Mamito you are more than amazing...to greatness," he wrote. He then announced the proposal through the same means. The pair have a son together, Maximilian Boluwatife who was born in 2015. Olamide and his baby mama Adebukumi Aisha Suleiman have been together since 2011.